Robotics move into Australian businesses, so will you be affected? Since the early 80s, jobs within the agriculture sector have decreased due to the inclusion of automation tools, such as tractors. In 1790, 90 per cent of the Australian population worked within the agriculture sector, with that figure dropping to five per cent in 2010. Now, robotics are making their move into a range of business across Australia, including sectors of administration and hospitality – just to name a few! In 2016, Minister of Employment, Michaela Cash warned businesses the change towards automation was approaching after she launched a report that claimed 44 per cent of Australian jobs were under threat from robotics. In the last year, South Australia’s Royal Adelaide Hospital has changed the way nurses perform their daily duties by introducing robots to their hallways. The robots deliver trolleys with goods – linen, meals, pharmacy supplies and waste – to staff and patients. 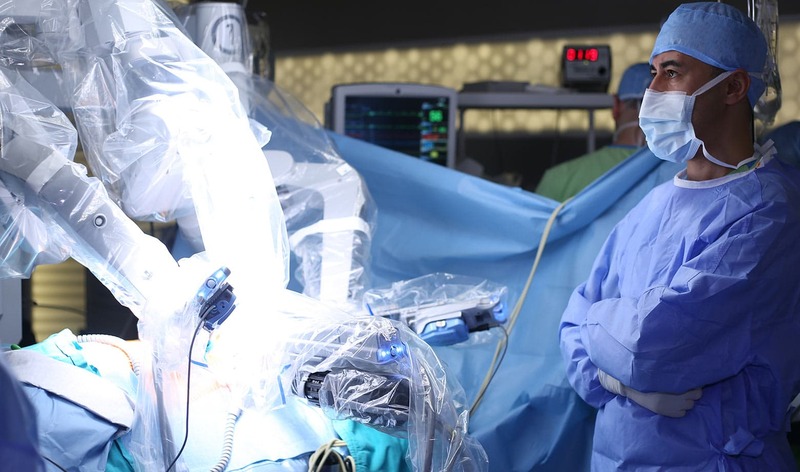 By introducing the robots into the ‘hospital of the future’, it has reduced the amount of manual work staff were required to do, providing them now with more time to focus on patient care. A Victorian dairy farm in Melbourne has also made the move towards automation by eliminating all human-beings working on the premises. The cattle on the farm, which involves “absolutely no one”, are now woken, fed and milked by automation tools. To ensure the milk generated by the cows are still up to the Australian standard, the milk is tested by sensors, with reports then being developed and sent back to a city-located laboratory. Along with health care and dairy farming, international fast-food franchise, McDonald’s have welcomed robotics into their restaurants, by replacing front-of-house cashiers with computerised ordering systems. With these, customers can order, customise their meal and pay, all at a push of a button or two. Human contact between the customer and the staff now only comes into play once the order has been processed and delivered. So yes, believe us when we say robots are coming! Many of our food service clients have already witnessed the change move into the hospitality sector with computerised tools replacing waitresses and robotics replacing assistant chefs. At a food service-specific trade show in Sydney earlier this year, an entire floor of the program was dedicated to a range of robotic tools, which can help move the hospitality industry into the future. 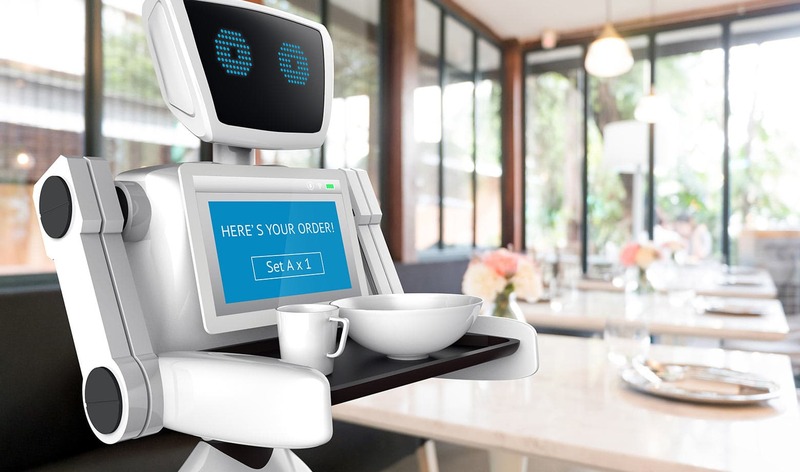 While initially, the thought of robots replacing jobs within hospitality was terrifying, many are starting to see the shift to be a positive on the workplace, due to the latest chef shortages experienced across the nation. Earlier this year, Alpha Beta also released a document that predicted: “workplace injuries will fall by 11 per cent as automation eliminates some of the most dangerous physical tasks in the economy”. Economist and Director of Consultants of Alpha Beta, Dr Andrew Charlton told the ABC: “We have to work really hard to make sure that workers displaced by automation are reskilled, retrained and given new opportunities in different areas. “When machines do work that humans could do, that is a positive productivity shock in the language of economists. And if we get that shock right, then there’s an up to $2 trillion dividend for the Australian economy over the next 15 years,” Dr Charlton continued. Along with a decrease in workplace injuries, research has also shown that companies can save money in the long-term when using robotic machines to fulfil jobs previously done by an employee. Professor Timothy Carone from the University of Notre Dame’s Mendoza College of Business explained to Business Insider Australia that a company who invests in automation tools will see a financial benefit down the track. Professor Carone advised businesses, who were wishing to move towards automation in the future, to assess their location and customers before implementing the trending change. “Whether a restaurant becomes partially or fully automated should depend on its customers and locations,” he explained. “Fast food franchises are finding its customers value automation. Restaurants at airports or similar locations that provide a captive audience, but no loyalty except for brand loyalty will find automation necessary and valued by customers – faster is better,” Professor Carone said. Though, is there a real reason to fear where your job and business may leave you in years to come? A robot/computer cannot possibly do what I do. Okay, it can do a lot, but it can’t do everything I do. Okay, it can do everything I do, except it needs me when it breaks down, which is often. Okay, it operates without failure. But I need to train it for new tasks. Whew, that was a job that no human was meant to do, but what about me? My new job is more fun and pays more now that robots/computers are doing my old job. I am so glad a robot cannot possibly do what I do.